Win a DJ slot at Nozstock 2014 – The global community for audio culture. Think your DJ skills deserve a bigger stage than your bedroom? Want the chance to play one of the most exciting independent festivals this summer and rub shoulders with Andy C and the RAM Records gang, James Zabiela and Friction? Well, you’re in luck. We’ve teamed up with the crew over at Nozstock: The Hidden Valley to search for a fresh DJ to get the speakers and crowd bouncing this August, with a slot in the Cubicles at Nozstock 2014! We’ll also feature the winner on Data Transmission with an exclusive interview to be seen by our trusted readers, tweeters and Facebook troop. No alternative prize will be offered in exchange for the original prize. Unclaimed prizes will be void. All images shown are for illustration only. 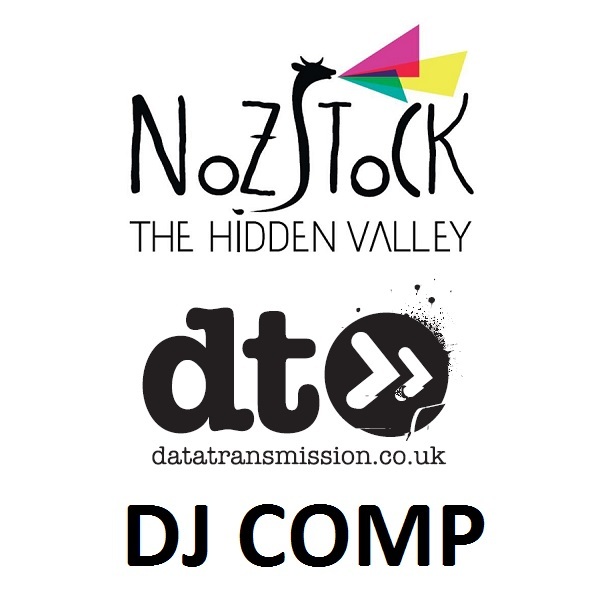 Tag the mix: “Nozstock Data Transmission DJ Comp 2014“. If you fail to tag the mix correctly, your entry may be missed. A maximum of one entry is permitted per person. Click HERE to view the T&C’s.